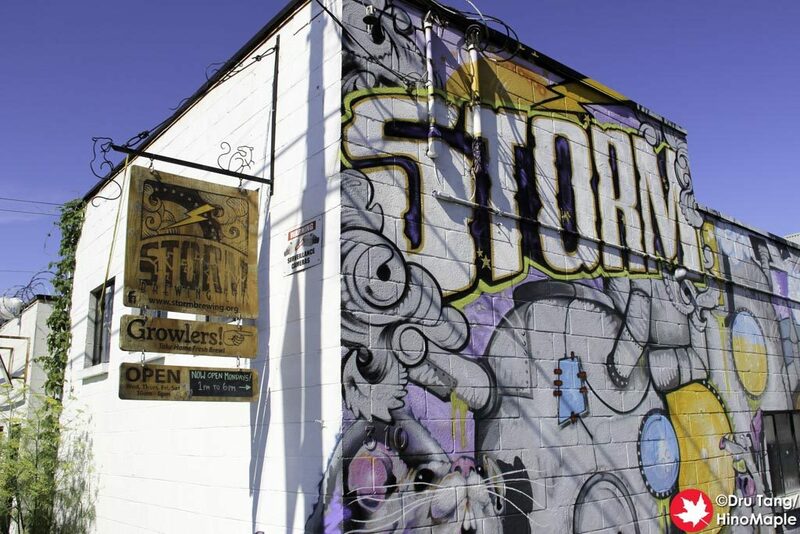 Storm Brewing is one of my favourite breweries in Vancouver and for a very good reason; they have a wonderful character as well as the most interesting beers around. The brewery is a little intimidating with the cool graffiti on the side of the wall as well as the fact that the main entrance is not very inviting. The beers are wonderful and if you visit you will be sure to have your taste buds tickled by the great beers. When I first visited Storm, I thought they were closed and I returned a little later in the day after a tip from another person. I was looking outside as someone, a regular, was picking up a keg. I decided to go in and struck up a conversation with the assistant brewer. The head brewer/owner is James and he is a very interesting character. If you think of the lead singer of The Prodigy, you have an idea of what he looks like. He often wears a lot of metal and has a lot of interesting ideas. It was interesting to hear what he had to say and I really thought it was a great place. 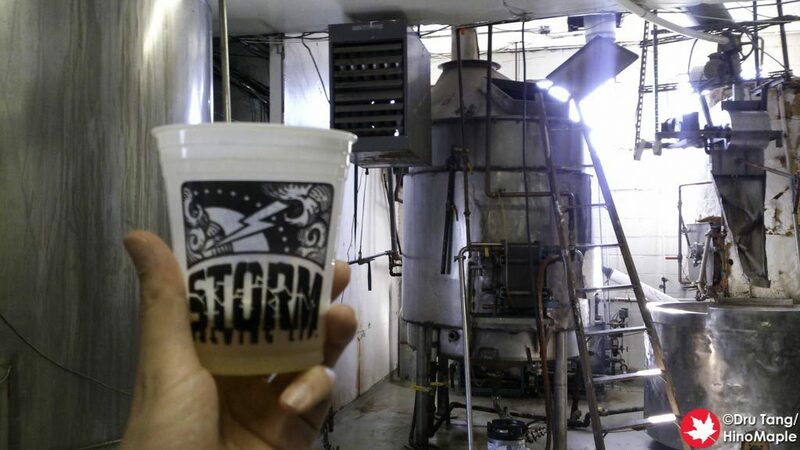 When visiting Storm, you have to realize that they aren’t licensed to sell beer in a tasting room style. They actually accept donations only or tips if you will. You get a cup and are allowed to sample up to 4 different beers each time. There are the 4 mainstays and all of them are good. The main beer to try is the brainstorm beers. When I visited they had beers such as the Apple Pie and the Gin and Tonic. They have a variety of flavours they add to the mainstays and it changes every month or more. I really fell in love with the Gin and Tonic and have been craving it since I left. 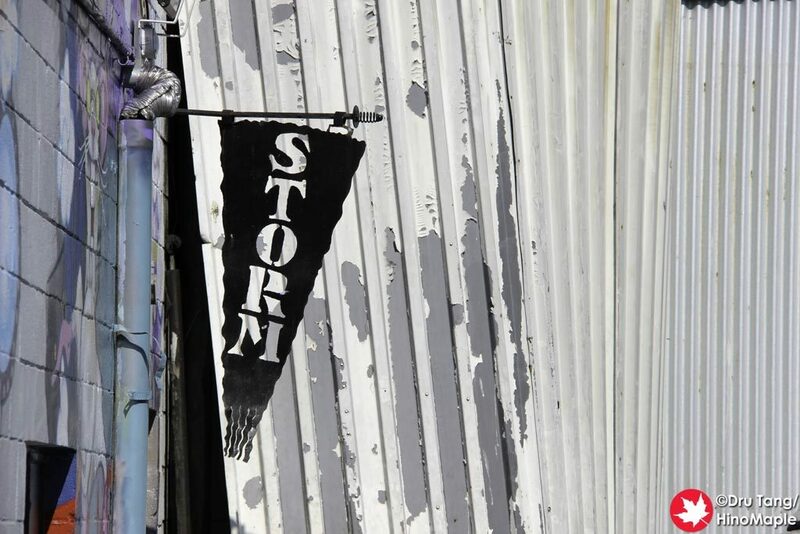 Storm is a place you really have to visit if you are a beer snob. If you are open to trying different flavours of beer, this is the place. If you are looking for the perfect IPA or the perfect Pilsner, this may not be the place for you. 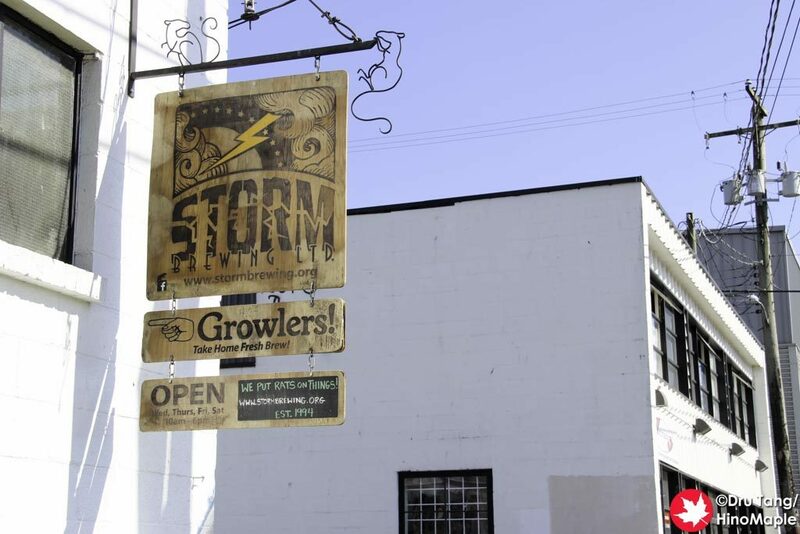 If you want to meet the owner and see how things are done, Storm is a great place. Do visit on their brewing day, I believe it is Wednesday or perhaps Tuesday, and you get to see the beast of a machine they have for brewing beer. They may not have time to talk but you can definitely enjoy the show. It also isn’t a modern brewery in any sense but it is a wonder to see everything in action. This entry was posted in Canada Food and tagged beer, canada, craft beer, East Van, Storm, Storm Brewing, vancouver by Dru. Bookmark the permalink.